Mitigating all the security risks associated with the Heartbleed bug will require money and effort. Wide-scale scanning for vulnerable sites has been underway since the news got out (and if you haven’t scanned your environment yet, please do so). In addition to creating panic and giving a way for intruders to gain access to and gather your sensitive data (an opportunity they most certainly didn’t pass up), the Heartbleed vulnerability incident has also served as a reminder. The reminder: security never gets shut eye, ever! You must always be on the look-out for vulnerabilities. There’s really no other way to put it. People learn from history or do they? For business executives and decision makers, we can say that since 2014 has started, it has been trying to remind them about something very important, something security professionals already know: Security doesn’t have a one fix solution; it’s a business process that needs to be continuously active, proactive to stay ahead of attackers. 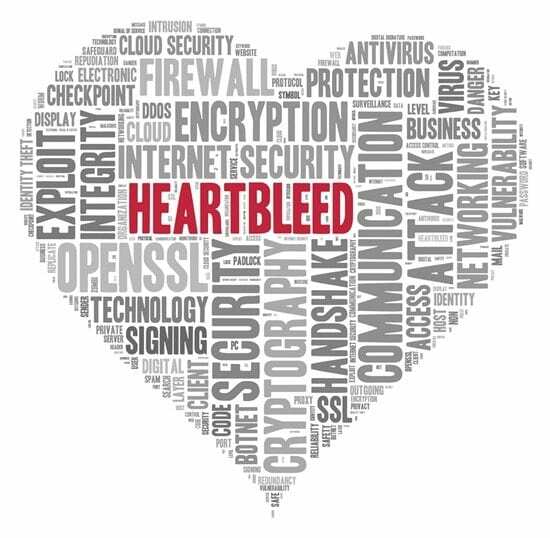 Some of the top takeaways from the Heartbleed bug incident can serve as a check-list for CIOs and executives alike to remember what they must do to minimize damage, costs and havoc the next time another hiding vulnerability presents itself (like Heartbleed). The Heartbleed bug exploits a tiny error, overlooked in original coding, showing just how important it is for due process and care to be taken in the developmental stages of software. Patching vulnerable software is only one piece of the security puzzle. Traditional perimeter security is dead (for those who were still wondering). Organizations should have resources available to find and contain threats that gain access to their system. Continuous monitoring, detection processes, incident response plans, and a 24×7 staff that keeps an eye on the entire network at all times are must haves for effective risk management. No matter how secure you think your network system, software or third-party partners are it is essential that you implement an in-depth well-rounded security posture. To mitigate attacks resulting from potentially leaked keying material due to the Heartbleed bug, SSL keys from affected systems will have to be replaced and revoked. Also, depending on the protocol, security professionals may have to take additional measures to protect data that may have been leaked. When CIOs and executives take the necessary steps to keep an overall proactive security posture within the enterprise (even when no vulnerabilities or threats are present) they will ensure the effects of a situation like the Heartbleed bug incident will be much less dangerous to their business. Remembering that security gets no shut eye and consequently maintaining continuous vigilance are surefire ways businesses will stay prepared for security risks and better protect their data assets; versus frantically trying to figure out what to do and the level of damage underway when an unknown threat suddenly appears. What were your security takeaways from the Heartbleed bug incident?